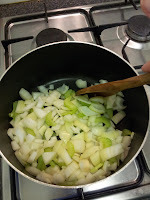 It does say in my blog header that this is a food and lifestyle blog, and although i'm not always the best at cooking food, I do love eating it! This is my first ever recipe post (yay) and it's what I had for tea tonight, vegetable lasagne. I had a proper craving for my mums lasagne earlier, but as she's not here, and I don't have the points allowance left for it, I decided to make a vegetable, and therefore low point version. 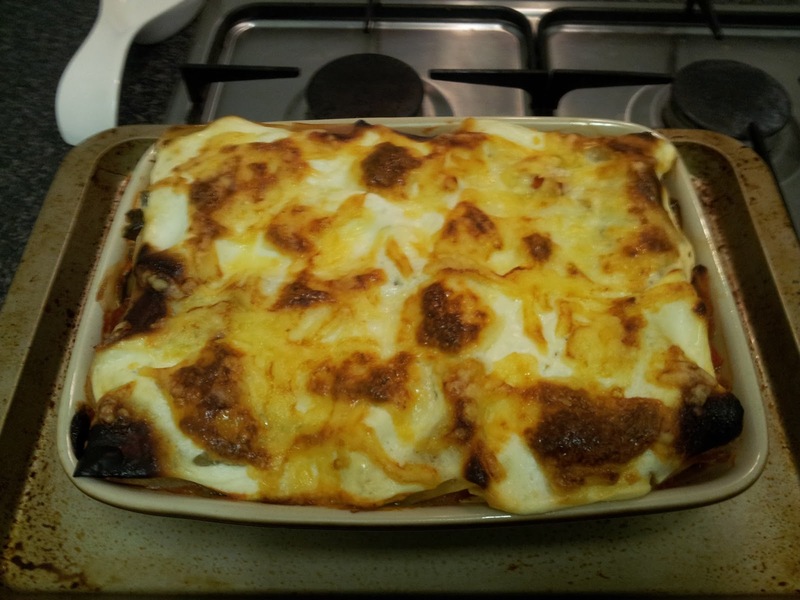 For half a lasagne (the recipe makes 2 portions) the damage is 8 propoints, not bad at all! And doesn't it look yummy. Cut the aubergine length ways and spray with cooking spray before grilling under a hot grill until cooked. 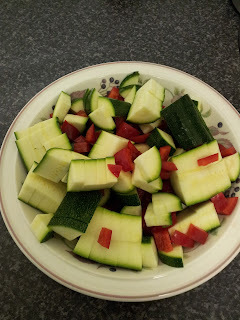 Meanwhile, finely slice the garlic, onion and celery, and chop the courgettes and pepper into roughly 1cm cube pieces. 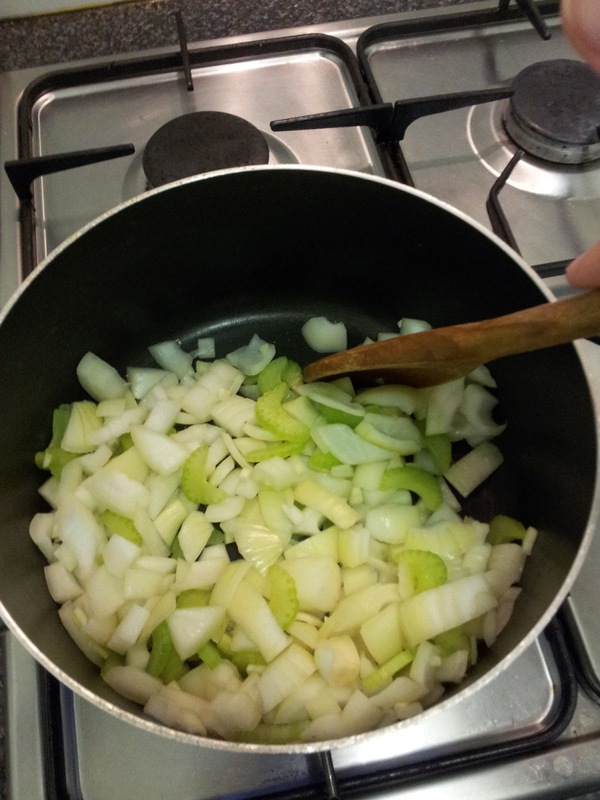 Gently fry the onion, garlic and celery in cooking spray until softened. Then add in the courgettes and pepper and continue to fry until the courgette is cooked. 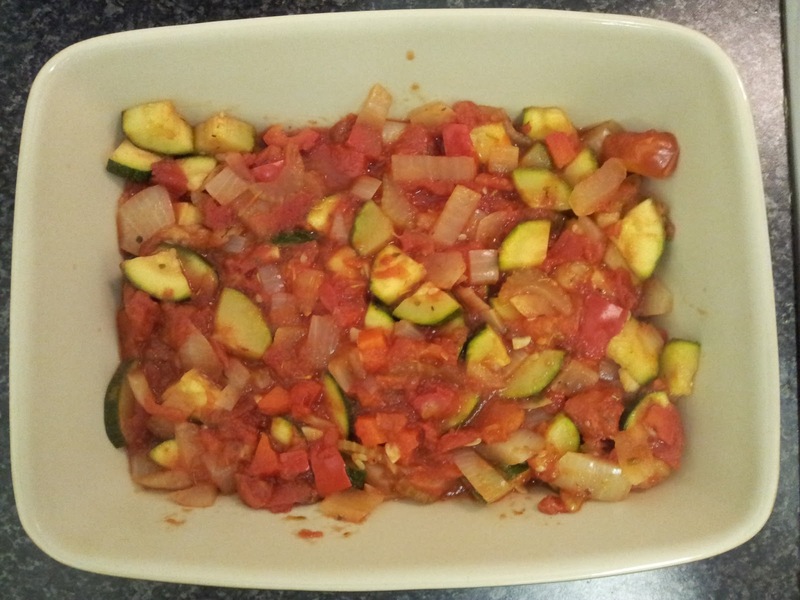 Chuck in the carton/tin of tomatoes and stir through. 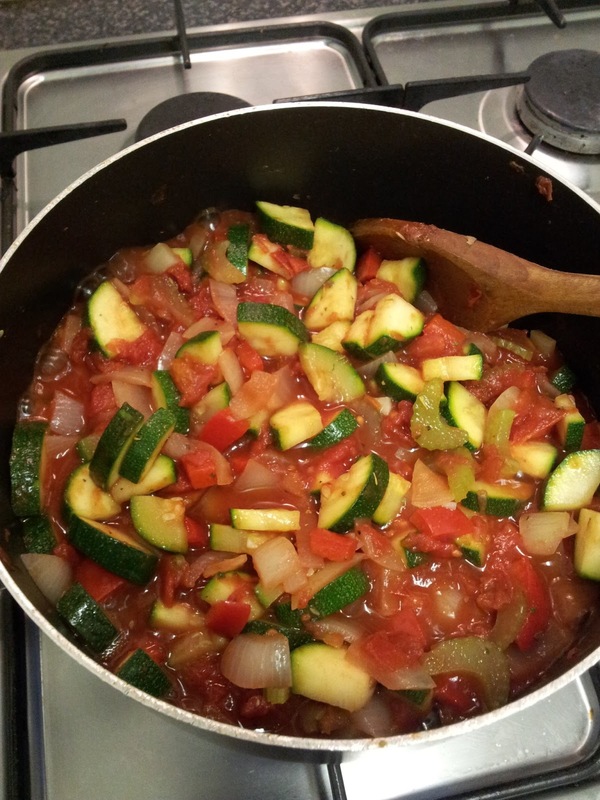 Add the tomato puree, Worcester sauce and mixed herbs. 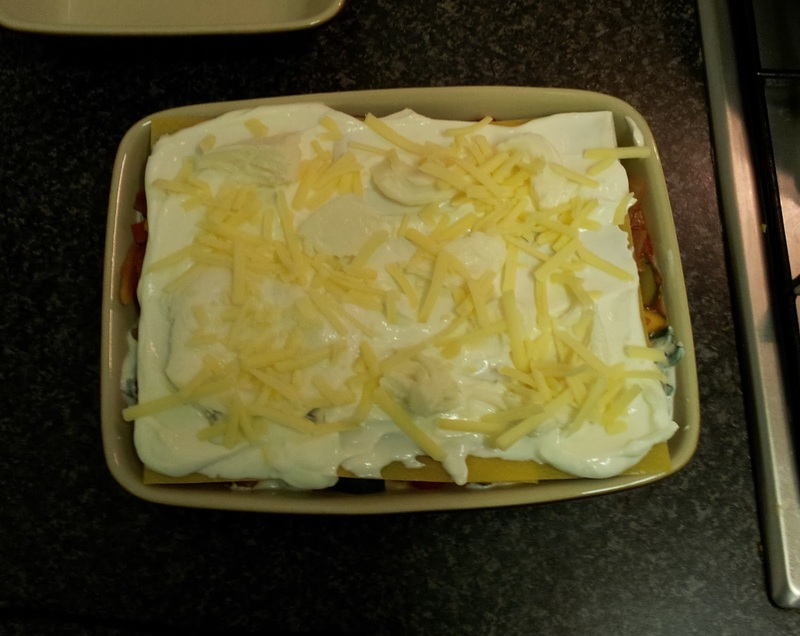 You can also add in some chilli powder/flakes if you like at this point. 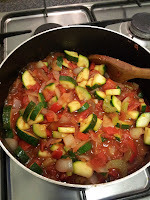 Stir through and leave to simmer for about 10 minutes, or until the sauce has reduced to become less runny. 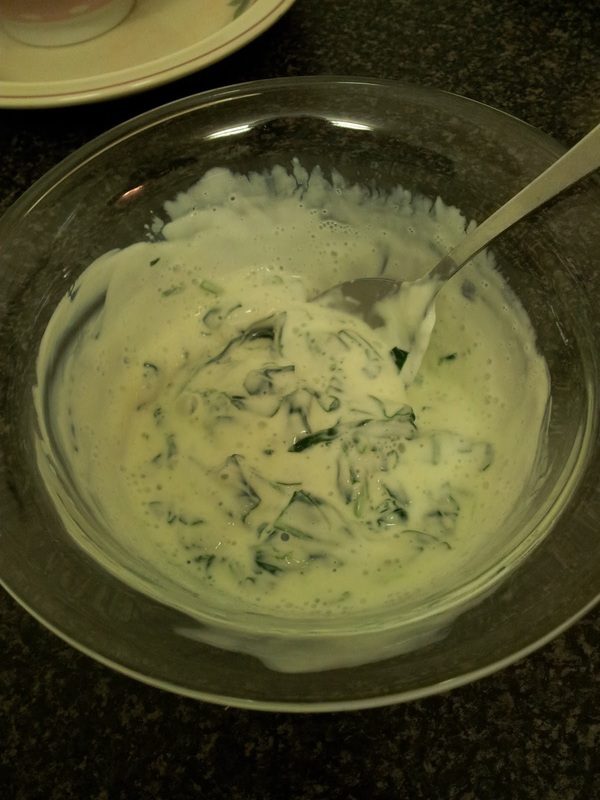 Whilst waiting for the sauce to simmer down put the spinach in a bowl and blast in the microwave for 1 minute. Drain on kitchen roll to soak up the water generated, and then chop. 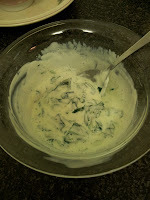 Put about half of the quark in a bowl and add the spinach and a splash of milk as well as seasoning. Mix all together to form a spinachy cheesy sauce. 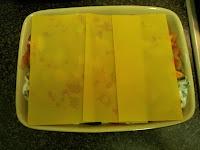 Once the sauce has reduced, take off the heat and put a thin layer in the bottom of your lasagne dish. 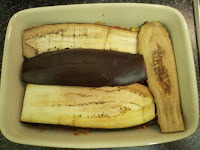 Add a layer of grilled aubergine. 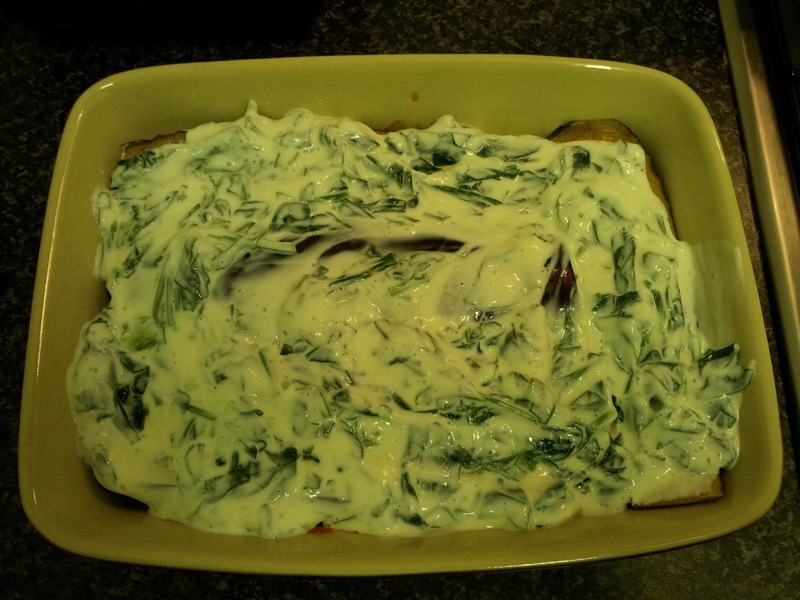 Cover the aubergine with the spinachy cheesy mixture. 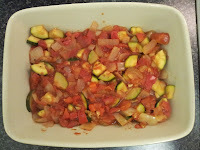 Cover with the another layer of the tomato mixture, trying not to mix the sauces too much. 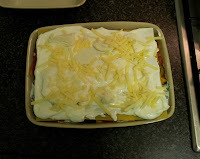 On top add the three sheets of lasagne, overlapping. 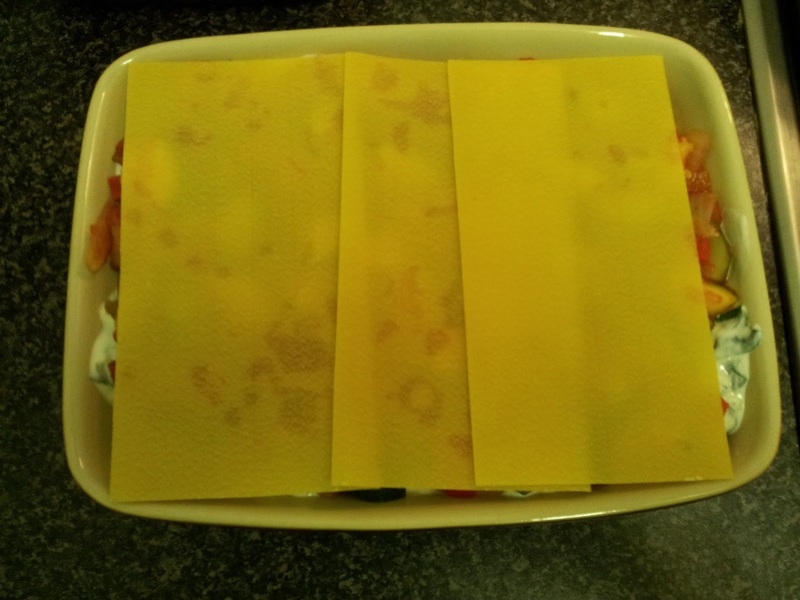 Cover the lasagne sheets with the rest of the quark, spreading it out evenly, then tear up the half ball of mozzarella and scatter on top, along with the grated cheddar. Put into a preheated oven at 180 degrees Celsius (less if you've got a fan oven) for about 40 minutes, or until the cheese is browned and bubbling, looking like the lovely yumminess below. 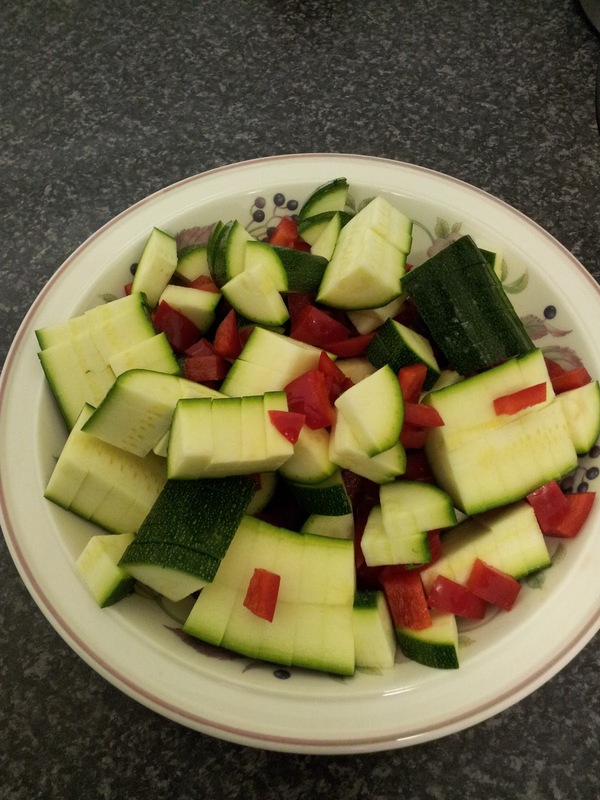 Dish up and dig in! 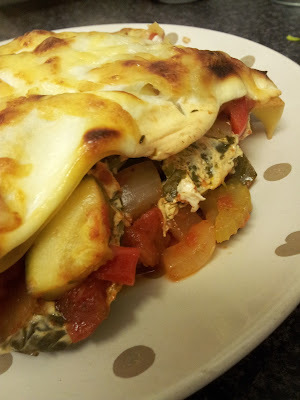 I'd love to know what you all think of the recipe, especially if you try it! 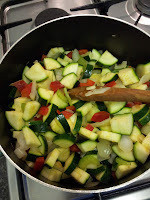 Believe it or not I was just pinning recipes on Pinterest as I cant decide what to cook tomorrow!